Value has replaced disruption as the buzzword of the year. If it had a face, it would be on the cover of Time magazine. Science Magazine would make it the molecule of the year. We celebrate it, encourage it and, now CMS won't pay you unless you deliver it. But, how to you get from here to there? Some think non-financial motivators, like peer-comparisons- are more powerful than financial ones when it comes to delivering value. Everyone is searching for the recipe for the secret sauce. Leadership development expert, Alan Patterson, describes Error! Hyperlink reference not valid. The value road map for doctors means moving from Stage 1 to Stage 4 and it takes cofactors and enzymes to drive the chemical reaction. Stage 1: Clinical expertise is the most common metric. However, moving along the value road map takes more than that. Knowledge technicians are dead. Evolving takes acquiring the knowledge, skills, abilities, and competencies in people skills and emotional intelligence to move you to Stage 2. Stage 2: Credibility, measured by how much people trust you and their willingness to be influenced by you. Moving to Stage 3 requires leadership knowledge, skills, abilities, and competencies. Stage 3: Execution, alignment and engagement, derived from teaching, coaching and inspiring other people , focusing on the now. The goal is to make yourself as obsolete as quickly as possible, empowering others to achieve goals. Now you can move from the now, to the next and new by adopting an entrepreneurial mindset. Stage 4: A strategic, entrepreneurial mindset focusing on the next (making existing products and services better) and the new (making existing products and services obsolete) with the goal of creating continuous, user defined value. It requires leading innovators, not managing innovation. The road map is tortuous, difficult, and hazardous to navigate. It helps to have guides who know the way. 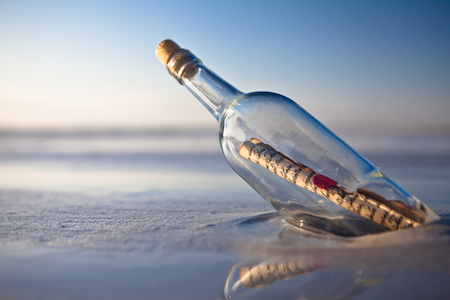 Unfortunately, doctors are unlikely to encounter them in medical school , residency training, or clinical practice, so you will either have to discover the map inside of a bottle on the beach, or take the journey on your own.